Chilly weather failed to deter a huge crowd of 4,000 from attending Mooseheart’s 8th annual Easter Egg Hunt on Saturday. 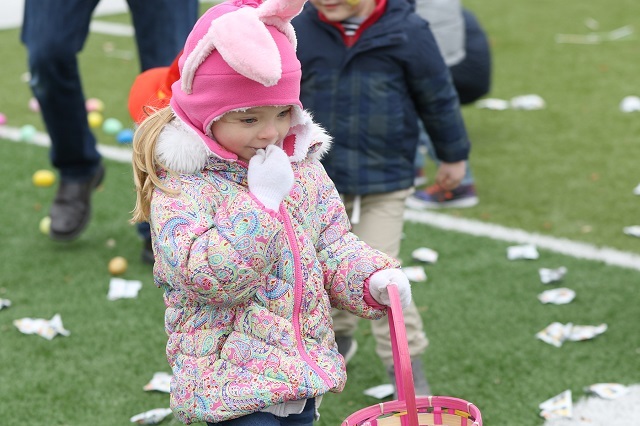 Children and their parents bundled up, but cleared a football field covered in nearly 20,000 eggs, candy, plush animals and other items in less than 10 minutes. Inside the campus’ field house, there were free photos with the Easter Bunny, a free hot dog lunch, face painting, bounce houses as well as crafts. Outside, there were pony rides and a petting farm.